Last night my four-year-old & I did something totally new for us: we went to the ballet. Not just any ballet, but possibly the most famous one: The Nutcracker. It was a lovely evening overall. The Nutcracker involves a huge international cast of hundreds of dancers, including some adorable elementary school age lambs & mice. I feel privileged to have seen Paloma Herrera perform as the Sugar Plum Fairy. Her masterful control over every single movement of her body was a wonder to watch & she certainly stole the show. The gorgeous costumes & beautiful set design were a delight to see & the live music provided by members of the Vancouver Symphony orchestra was fantastic. We had a lovely chat with the trumpet player during intermission when I showed Linnaeus the orchestra pit. To bring the kids or not? My four-year-old was just able to sit through the two hours or so of performance with a fair bit of wiggling, adjusting his booster & occasional seat switching. Lots of families go--it's definitely a kid-friendly ballet. I saw children as young as three or so, but most of them were somewhat older. The intermission provides a welcome break for little kids to move around & get a bit of pent up energy out. Of course, every kid is different--you know yours best. If you do think your kids are ready for the ballet, here are my suggestions for how to make the best of the evening. Do your homework. Read the Nutcracker story with your child a few times before you go so they can follow the action--there's also a short synopsis in the program. Be punctual. Try to arrive at least half an hour early--getting to your seats is slow, plus you'll want time to get drinks or use the washrooms before sitting for an hour. If you don't get into the theatre before the show starts, you'll have to wait outside until the intermission. Get a boost. Ask the ushers for a theatre booster seat to give your child a better view. Keep the kids busy. The programs have a colouring page in the middle & crayons are handed out in the lobby, so kids will have something to do if you have a little bit of a wait before the performance begins. I hope you enjoy the show as much as we did! 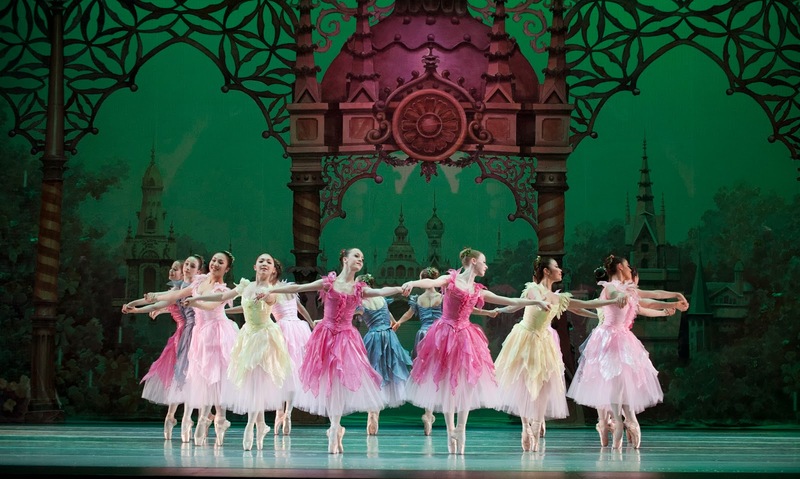 The Goh Ballet Nutcracker premieres tonight & runs until December 22nd. Tickets are still available at GohNutcracker.com. Disclaimer: I received free tickets to the media preview of The Nutcracker to facilitate this review, but was not otherwise compensated for this post.